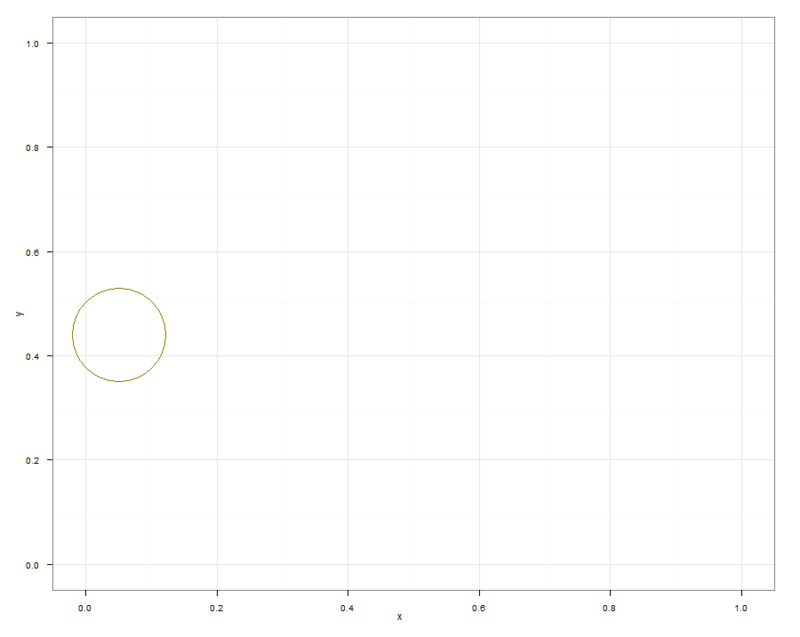 How do I plot a circle with ggplot2 as an additional layer if I have a middle point and a diameter? Thanks for your help. A newer, better option leverages an extension package called ggforce that defines an explicity geom_circle. I hope it gets you started in hacking up custom examples for your purpose. For posterity's sake here is a more flexible circle solution using annotate and geom_ribbon that supports fill, color, alpha, and size. The point being, a circle in some coordinates system is often not a circle in others, unless you use geom_point. You might want to ensure an aspect ratio of 1 with cartesian coordinates. Not the answer you're looking for? Browse other questions tagged r ggplot2 circle or ask your own question. How to find an intersection of curve and circle? 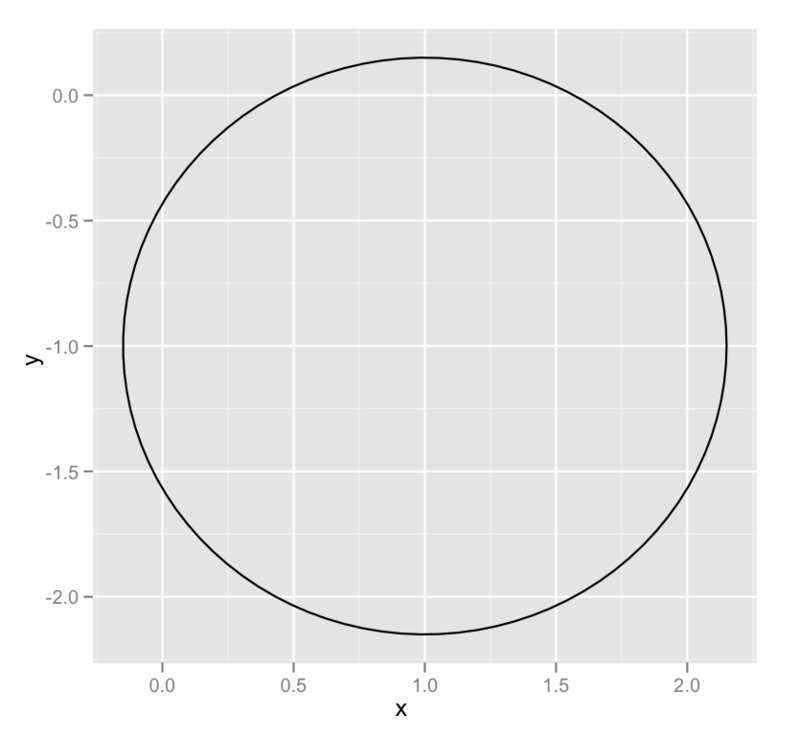 R: plot circle with radius = 1 and angle 0-2pi in polar -coordinates? How to add a ggplot2 subtitle with different size and colour? removing the central white circle?